We are in this situation a lot of times. So here I am trying to create a step by step guide from taking a requirement doc to finalizing a system architecture. Stage 0: Before getting started with the design process, we need to make sure about the following. – Do we have clear understanding of requirements? – Are we creating something from scratch or enhancing and existing system. In later case we will have design and technology constraints from previous system? – Have we identified non functional requirements- security, performance, availability etc. – Have we identified all stakeholders and their role? – Have we decided on time/ money to spent on design activities? – Have we identified reference material? Do we have artifacts for similar design problems, from either inhouse or external sources? – How are we going to maintain the design artifacts- wiki, git, svn, confluence etc. We will need to maintain versioning? – Have we identified any guiding principles for the design- we will use open source softwares and tools, or we will be using linux system of deployment etc. – Have we identified all third party systems with which our system will interact and how the interaction will be done? – Are we creating the system in one go or will it be a phased delivery. Have we identified the value add provided by various components being built and prioritized the delivery? – In case of phased delivery, we need to identify scope of each phase? – Have we identified risks involved and mitigated them? – If we are modifying or enhancing an existing system, we need to understand what areas can be reused, enhanced and built from scratch? – Better to create a formal document to identify what all design artifacts are required. – Have we defined acceptance criteria for the design? Stage 1: Now we need to understand the business and what changes do we need. – Have we understood organization structure? – Have we identify business goals and objectives for the organization and what changes are required? – Identify all business requirements, for example customer should be able to return a product is a business requirement. – What data is being used in the application? how it is originated and used? Control technical diversity: Minimizes cost of expertise. – Did we identify reusable artifacts and services which can be used by other projects? – Have we conducted periodic validation that design and product being build are in sync? – Does the design change due to any change requests? Has that been reflected in design? – Have we met all the acceptance criteria that were set initially? This entry was posted in Architecture, System Design and documentation and tagged Architecture, Design on April 3, 2017 by admin. An architecture helps in identifying components and their relationship. It provides basic guidelines for representing the components. It helps in understanding that how system can evolve and enhanced. Before getting into EA, we need to understand what an enterprise is? An enterprise organization is a set of companies with a common goal. Now an enterprise can have different applications, solution components at different levels. EA helps getting the bigger picture by putting all the elements together. It helps understand how these applications interact with each other. How different processes are dependent and related. Why an organization needs an EA? This helps us understand impact of change at one part on whole enterprise, and hence helps in decision making, lowering down cost of operations, sharing of resources and capabilities, manage security, change management, helps make – buy- outsource decision etc. In addition their can be regulatory drivers in some govt and non-govt organizations which need the entity to maintain EA. How do Architecture Frameworks help? An Architecture framework provides common vocabulary so that every stakeholder’s understanding is same. It provides a set of tools and building blocks that can be used to create final architecture. In addition it provide a list of standards so that everybody involved can follow similar strategy. What are different Architecture domains? Business Architecture: Understanding of business processes. 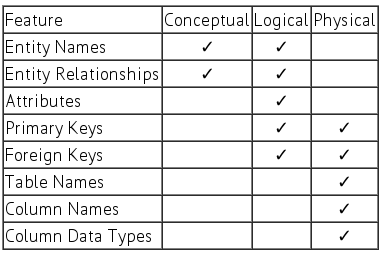 Data Architecture: Structure of logical and physical data. Application Architecture: Design of application systems to be created and deployed, their interactions and mapping to core business processes. Technology Architecture: Details on infrastructure, middleware, deployments, communications etc. This entry was posted in Architecture and tagged Architecture on February 1, 2017 by admin. I can put the idea in a single line: Do not reveal more information than is required. This entry was posted in Architecture, Design and tagged Architecture, Design on June 22, 2016 by admin. In last post I talked about creating sequence diagrams using MaintainJ. Another important aspect you would want to understand for a Project is the database schema design. How many tables are there? How do they interact with each other? etc. For understanding this design the best way is to look into ER or Entity Relationship diagram. Ideally one would create the ER diagram first and then implement database. In case we do not have a ER diagram available we can create using Reverse Engineering the database to ER diagram. For MySQL, we can use MySQL WorkBench tool to create one. Once installed, you can connect to you mysql database in workbench. Then in Database Tab at the top, select Reverse Engineer option, and select the schema you want to reverse engineer. This entry was posted in Architecture and tagged Architecture, Reverse Engineering on March 30, 2016 by admin. The best way to analyze the code with hundred of Java classes is to look into the documentation, class diagrams, sequence diagrams etc to understand the flow and usage. Unfortunately there are times when you would not be provided with any such documentation. Reverse Engineering tools can be of help upto some level. MaintainJ is one such tool to help you with Java. So if you have a working codebase for a web application, which you need to analyze, here are the steps to go ahead. 3. Now if you will visit the link to server like http://localhost:8080/MaintainJ/, it will let you provide the package to be traced and directory where output file to be added. 5. Once all settings done, restart the server. 6. Go to MaintainJ link and start tracing. 7. Now browse through the actual app, MaintainJ will create sequence diagrams to the directory where you have provided the path. You can view the ser file created by MaintainJ in eclipse by adding MaintainJ plugin to eclipse. Create a new project of MaintainJ trace type and copy generated ser files into this project in a folder. In database cluster implementation we can have multiple ways to make sure how different nodes will communicate with each other. Shared nothing approach: None of the nodes will use others memory or storage. This is best suited for the solutions where inter node communication is not required, i.e. a node can come up with a solution on its own. Shared Memory: In this approach memory is shared, i.e. each node/ processor is working with same memory. This is used when we need nodes to share solutions/ calculations done by other nodes and are available in memory. Shared Everything: In this approach nodes share memory plus storage. This makes sense when nodes are working on problem where calculations and data created/ used by node is dependent on others. This entry was posted in Architecture, DBMS and tagged Architecture, Databases on March 9, 2016 by admin. This entry was posted in Design, System Design and documentation and tagged Architecture, Design, UML on April 21, 2015 by admin. In last post I talked about what is middleware, I will focus on message implementation of same today. Message oriented middleware or MOM mostly uses message queues to send and receive data between two systems. In simple terms, a message is anything that is being sent from one system to another. Mostly MOM uses XML formats, sometimes SOAP based requests or plain texts. An example MOM system will send message to a message queue or MQ, from where the receiver will pick up the message. Persistence: In normal client-server architecture, we will need to make sure both the systems to be available to have a successful communication. Whereas if we are using MQs, one system can still send messages even if the second is down. Support for Synchronous and Asynchronous communication: by default the communication is asynchronous but we can implement a synchronous system where a request message sender will wait for the response from other party. Messages can be consumed at will: If one system is busy when messages are received (which do not need immediate response), it can consume the messages when load is less. For example, a lot of systems are designed to consume the messages at non business hours. Reliability: As messages are persistent, threat of losing information is low even if one or more systems are not available. Additional security mechanism can be implemented in MQ layer. Decoupling of systems: Both client and server work independently, and often do not have knowledge for other end. System A creates a message and adds to message queue, without concerning who will pick it up as long as it gets the response message (if required). So one system can be written in Java and other can be in Dot Net. Scalability: As both machines involved in interaction are independent of each other, it is easier to add resources at either end without impacting the whole system. Group communication: Sender can send message to multiple queues or same queue can have multiple listeners. In addition Publisher- Subscriber approach can help broadcast a message. Point to Point: This is a simple messaging architecture where a sender will directly send a message to receiver through message queue. Publisher-Subscriber (Pub-Sub): This type of communication is required when sender wants to send messages to multiple receivers. Topics are defined to which subscriber can subscribe and receive requests based on same. For example, say a core banking system can trigger messages on various events like new account open, a withdrawal is made, interest rate changed etc. For an event, multiple other systems might want that information to take an action, so say for all withdrawal events, systems like fraud detection, mobile messaging system, daily reporting system, account maintenance system subscribe. Whenever, publisher publishes the message to “Withdrawal” topic, all of these systems will receive the message and take appropriate action. This entry was posted in Architecture, Design, System Design and documentation and tagged Architecture, Design on February 12, 2014 by admin.